British television in the ’60s and ’70s was limited by a lack of money, a fact which resulted in certain distinctive characteristics. Most shows were shot in studio, on videotape, with quite obviously flimsy sets. These limitations forced creators to follow a theatrical, rather than cinematic, model; at their worst, these shows seemed like creaky stage artifacts. But at their best, they used their limitations as an asset, the patent unreality of their studio constructions permitting a kind of imaginative liberation. This was most apparent in children’s programming, which took advantage of a kind of “let’s make believe” attitude in which imagination filled in for limited production resources, resulting in a number of ambitious fantasy, science fiction and adventure shows. 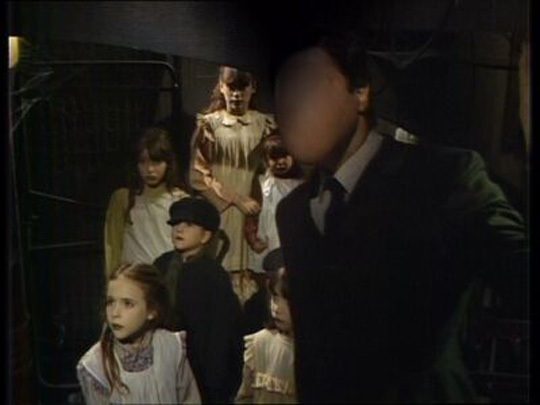 Some of the best of these shows were fantasies with a surprisingly dark tone, like Timeslip (1970) in which a pair of adolescents discover a portal that leads to alternate time streams and end up having to save our world from a sinister scientific conspiracy; Children of the Stones (1977) about a small village enslaved to an ancient supernatural power contained in the local stone circle; and best of all Sapphire and Steel (1979-82), a remarkable collection of stories about a pair of elemental agents who investigate disruptions in the space-time continuum, essentially six complex “ghost” stories written with style, beautifully designed, with excellent acting and direction. 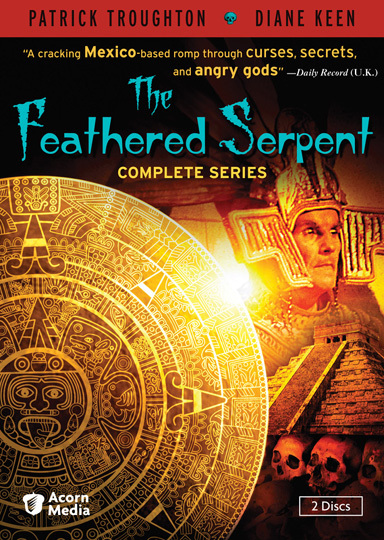 One of the most interesting of these shows, particularly from today’s perspective, was ITV’s The Feathered Serpent (1976-78), two series of six half-hour episodes recently released on DVD by Acorn Media. This show conjures up political and religious conflicts in the 11th Century Aztec Empire with a handful of cardboard sets, garishly cheap costumes and an excess of heavy eye makeup. At first glance it might look laughable, but, although aimed at a younger audience, it turns out to be a surprisingly sophisticated piece of work, thanks to the well-written scripts by the prolific John Kane and well-paced direction by producer Vic Hughes (also responsible for kids’ sci-fi series The Tomorrow People [1977-79] and Chocky [1984-85], among others) in collaboration with Stan Woodward and Michael Custance. 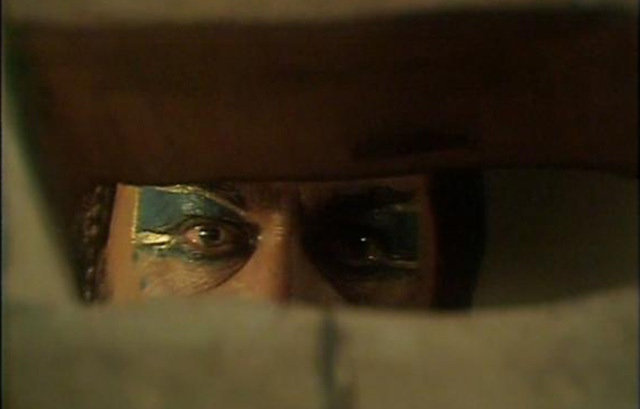 The show immediately drops the viewer into the centre of an on-going religious conflict; the Empire’s once peaceful god Quala has been supplanted by the bloodthirsty Teshcata, whose high priest Nasca is scheming to consolidate the new god’s power by stirring up the population with human sacrifices and calls for war against the neighbouring Toltecs. The emperor Kukulkhan, however, has little stomach for bloodshed and aims to reestablish the rule of Quala through an alliance with the Toltecs sealed by the marriage of his young daughter Chimalma to the Toltec prince Heumac. This plan displaces Mahoutec, the head of the Aztec army who was supposed to marry the princess, and Nasca uses the warrior in his schemes to derail the Emperor’s plans and seize control of the empire. The first six episodes deal with Nasca’s intrigues, which include murder, manipulation, and ultimately the assassination of the emperor, managing to turn the council and the army against the princess and Heumac. While the production values are impoverished, the narrative is densely plotted and suspenseful, bolstered by the committed performances of a talented cast. 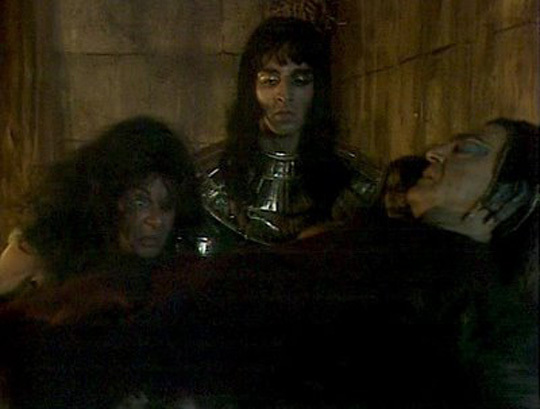 The side of reason and peace is well represented by Tony Steedman as Kukulkhan, Diane Keen as Chimalma, Brian Deacon as Prince Heumac, George Cormack as Otolmi, the priest of Quala blinded by Nasca, and as the sole concession to the intended audience Richard Willis as Tozo, Heumac’s teenage servant who plays a key role in the fight against Nasca’s schemes. 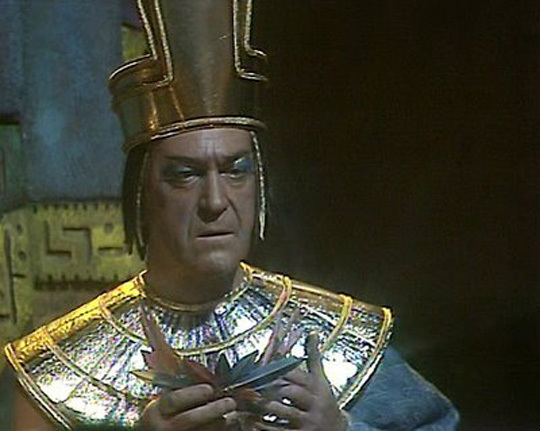 Those formidable forces of good are necessary because the entire series is dominated by a superlative performance from former Dr. Who Patrick Troughton as Nasca. Obviously relishing the role, Troughton transforms what might have been a cliched villain into a nuanced portrait of religious fanaticism. His priest is willing to do anything, commit any crime, in order to establish the unquestioned power of his god over the empire and he comes close to succeeding because he’s a true believer; for him there can be no possibility of permitting the reestablishment of the less blood-thirsty religion of Quala because he knows that his angry god would destroy the people if they tried. The first series of The Feathered Serpent seems to end with Nasca’s defeat, although he has caused a lot of damage; but in the second series a genuine supernatural element creeps in as one of Nasca’s faithful followers, the warrior Xipec (Granville Saxton, looking something like Alice Cooper) steals the high priest’s body away and takes it to an ancient witch, Keelag (Sheila Burrell), who restores him to life. While plans for the marriage of now-Empress Chimalma to Prince Heumac go forward, Nasca regains his strength, believing himself to be an actual physical manifestation of his god, and with Xipec plots the final destruction of the Toltecs and the Empress. His plans involve spreading a deadly madness throughout the population to drive them back to his god Teshcata. While The Feathered Serpent may not have anything much to do with actual Aztec history, it presents a surprisingly dark and complex view of the ways in which religious fanaticism functions to take control of a society, ultimately justifying virtually any crime in its efforts to gain complete control over the people. As such, despite the creakiness of the production, it actually has pertinent things to say about the world today. It would be a pity if modern audiences accustomed to slick, fast-paced entertainment were unable to see past the sometimes soft, smeary video and cheap sets to the strong narrative and well-drawn characters, but for those with a taste for ’70s fantasy, The Feathered Serpent is a must-see. This entry was posted in Review and tagged British Television, Doctor Who, DVD, Fantasy, Patrick Troughton. Bookmark the permalink.